Theological | ADULT CATECHESIS & CHRISTIAN RELIGIOUS LITERACY IN THE ROMAN CATHOLIC TRADITION: hosting ONLY True Christians!! !, or "How to think Catholic!!" Faith is a theological virtue, which along with hope and charity, is a gift from God. But how is this so? Theological virtues—unlike the human or cardinal virtues (justice, prudence, fortitude (courage), temperance) —are not acquired through human effort. Rather, they are “infused”; or “grafted” is another word used informally, to describe this effect in us. God uses faith like a binocular or telescope. You begin to see more with faith, you begin to understand God with faith. In God’s own time. In God’s own way, To God’s own degree for the part of His plan He has intended for you. Work with Him, people. Work with Him. God gives everyone this potential to take that first step. In certainty the faith which is there must have you work with it. This is the gift which God gives to us. We all have this potential built inside us to know more. The problem though is we ignore this gift. We put it aside or we take other tools which will not help us. The best avenue to build up this faith is of course the Church. The Church enables us with the right tools to begin to grow in faith to take that first step into the second step. The Holy Spirit as well will help us to increase this faith. Faith is called an infused virtue because it cannot be acquired through our efforts alone, unaided by grace. Whoever seeks the truth will find it, because God is Truth, and whoever seeks God can only do so by an effect of His grace. God offers graces to everyone; if we cooperate, we will receive Faith. The intellect still plays a part, but it is inferior to faith, which elevates our faculty of reason, enabling us to perceive spiritual truths with greater clarity. Many have converted to Catholicism for what appear to be intellectual reasons, but conversion is fundamentally a movement of the will towards God, Who enlightens our intellect and our hearts. “1. 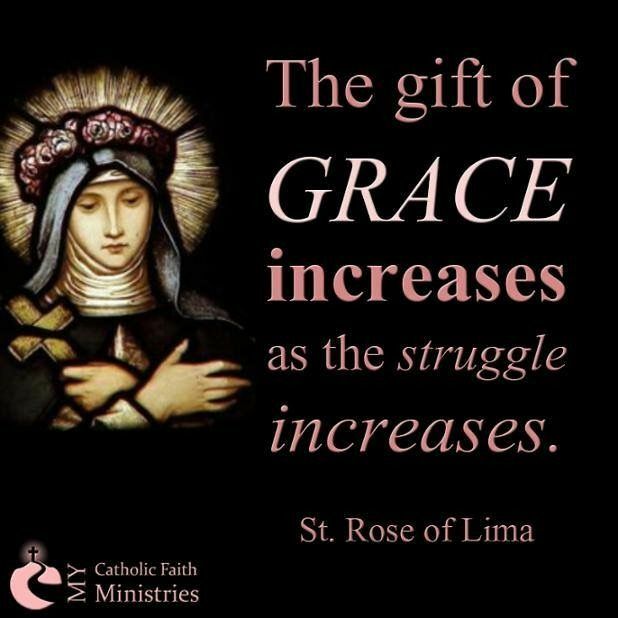 The gift of faith, which through the goodness of God, is accompanied by an incomparable abundance of blessings in the soul of the Christian believer, clearly requires the unceasing homage of a grateful heart to the divine Author of this gift. 154 Believing is possible only by grace and the interior helps of the Holy Spirit. But it is no less true that believing is an authentically human act. Trusting in God and cleaving to the truths He has revealed is contrary neither to human freedom nor to human reason. Even in human relations it is not contrary to our dignity to believe what other persons tell us about themselves and their intentions, or to trust their promises (for example, when a man and a woman marry) to share a communion of life with one another. If this is so, still less is it contrary to our dignity to “yield by faith the full submission of. . . intellect and will to God who reveals”,26 and to share in an interior communion with him. 164 Now, however, “we walk by faith, not by sight”;49 we perceive God as “in a mirror, dimly” and only “in part”.50 Even though enlightened by him in whom it believes, faith is often lived in darkness and can be put to the test. The world we live in often seems very far from the one promised us by faith. Our experiences of evil and suffering, injustice and death, seem to contradict the Good News; they can shake our faith and become a temptation against it. 25 DV 5; cf. DS 377; 3010. 26 Dei Filius 3:DS 3008. 27 St. Thomas Aquinas, STh II-II,2,9; cf. Dei Filius 3:DS 3010. 28 Dei Filius 3:DS 3008. 29 Dei Filius 3:DS 3009. 30 Dei Filius 3:DS 3008-3010; Cf. Mk 16 20; Heb 2:4. 31 St. Thomas Aquinas, STh II-II,171,5,obj.3. 32 John Henry Cardinal Newman, Apologia pro vita sua (London: Longman, 1878) 239. 33 St. Anselm, Prosl. prooem. :PL 153,225A. 36 St. Augustine, Sermo 43,7,9:PL 38,257-258. 37 Dei Filius 4:DS 3017. 38 GS 36 § 1. 42 Cf. 16:16; Jn 3:36; 6:40 et al. 43 Dei Filius 3:DS 3012; cf. Mt 10:22; 24:13 and Heb 11:6; Council of Trent:DS 1532. 45 Cf. Mk 9:24; Lk 17:5; 22:32. 46 Gal 5:6; Rom 15:13; cf. Jas 2:14-26. 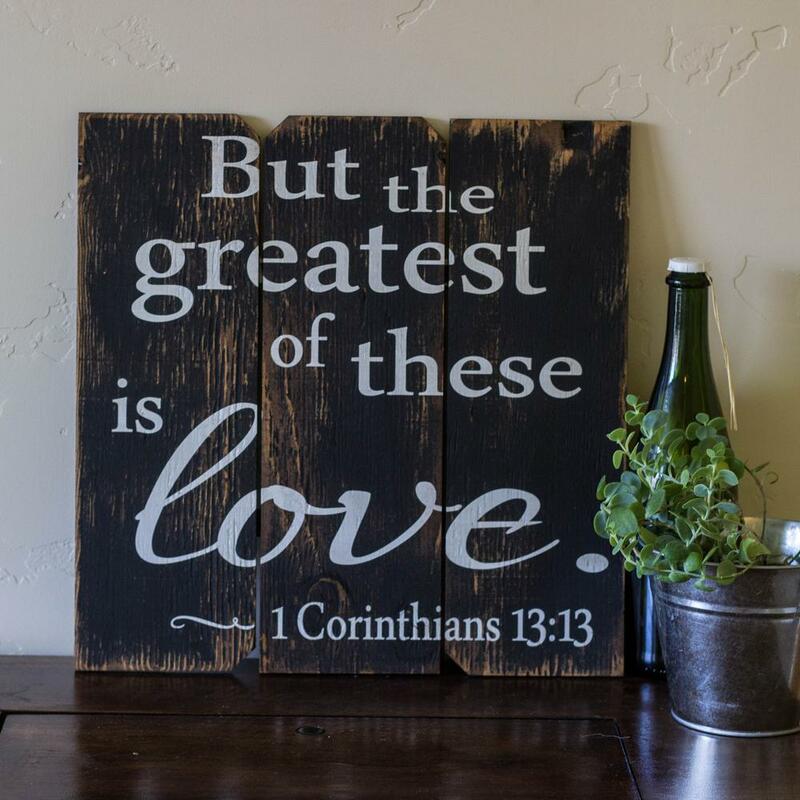 47 1 Cor 13:12; 1 Jn 3:2. 48 St. Basil, De Spiritu Sancto, 15,36:PG 32,132; cf. St. Thomas Aquinas, STh II-II,4,1. 52 LG 58; John Paul II, RMat 18. “Saul stood by with a heart harder than the stones striking Stephen. Unconvinced by Stephen’s eloquent preaching, unmoved by his miracles, blind to his angelic countenance, blinder still to his burning love, the eyes of Saul’s soul, sealed shut by the weight of stone scales, saw only darkness. How many of our co-workers, friends, neighbors, loved ones, seem similarly unseeing before the love that has flooded our hearts? Yes, “God’s love has been poured into our hearts” (Rom 5:5), which burn when we hear those words, “As the Father has loved me, so have I loved you; Abide in my love” (Jn 15:9). How much it pains our hearts to see our loved ones wandering without that one thing that can satisfy—and more than satisfy—the tortured depths of the human heart. How can these signs and wonders, miracles, words of wisdom, acts of charity, the love of martyrs, not move all hearts? Yet, Saul stood stubborn seeing Stephen see the Son standing at God’s right hand in glory. Is the love that fills our hearts so weak, so unattractive, so insufficient? Love is a subtle thing, patiently plodding, plowing forward when the ground seems all stones where never a thing could grow. But persistently, consistently, love works, bursting forth unexpectedly with abundant fruit. As the mob disbanded, retrieving their coats from Saul’s watch, leaving Stephen’s blood soaking the stones, all the deacon’s mighty words and deeds, all his eloquence, his very love, seemed insufficient. With love never growing tired, Stephen loved those unmoved by what he loved most. Stephen’s insistent love shattered the dark, adamant stone of Saul’s heart, which the Lord converted after the likeness of his own heart. Has ever a heart changed so much? Stephen’s blood watered the stony soil of Saul’s soul. Like the Lord he loved, Stephen became as a grain of wheat that, unless it “falls into the earth and dies, it remains alone; but if it dies, it bears much fruit” (Jn 12:24). That fruit we still taste whenever we receive the words of Paul’s preaching or behold them shake the soul of a St. Augustine. May we love those dearest to us as Stephen loved Saul, yea, as Christ has loved us, loved us to the end (Jn 13:1). O love, in how many places would I fain repeat this word, for it alone makes me bold enough to say with the spouse in the Canticle: ‘I have loved my Beloved.’ It allows me to think that You, my God, my Spouse and my Good, have need of me. But love must not be wrought in our imagination but must be proved by works…. Oh Jesus, what will a soul inflamed with Your love not do? Those who really love You, love all good, seek all good, help forward all good, praise all good, and invariably join forces with good men and help and defend them. They love only truth and things worthy of love. It is not possible that one who really and truly loves You can love the vanities of earth; his only desire is to please You. He is dying with longing for You to love him, and so would give his life to learn how he may please You better. O Lord, be pleased to grant me this love before You take me from this life. It will be a great comfort at the hour of death to realize that I shall be judged by You Whom I have loved above all things. Then I shall be able to go to meet You with confidence, even though burdened with my debts, for I shall not be going into a foreign land but into my own country, into the kingdom of Him Whom I have loved so much and Who likewise has so much loved me.” (cf. Teresa of Jesus, Exclamations of the Soul to God, 7 – Conceptions of the Love of God, 4 – Interior Castle III, 1 – Way of Perfection, 40). 1827 The practice of all the virtues is animated and inspired by charity, which “binds everything together in perfect harmony”;105 it is the form of the virtues; it articulates and orders them among themselves; it is the source and the goal of their Christian practice. Charity upholds and purifies our human ability to love, and raises it to the supernatural perfection of divine love. 106 Cf. 1 Jn 4:19. 107 St. Basil, Reg. fus. tract., prol. 3:PG 31,896B. 108 St. Augustine, In ep. Jo. 10,4:PL 35,2057. Presence of God – Make me understand, O Lord, the pre-eminence of charity, that I may apply myself to it with all my heart. The three theological virtues (faith, hope, love) having God for their immediate object, are superior to the moral virtues (prudence, justice, fortitude, temperance) which are directed to the government of our conduct; but among the three theological virtues, charity (love) holds the primacy. It holds the primacy because, being inseparable from grace, it is the constitutive and indispensable element of our supernatural life. Where there is no charity there is neither grace nor life, but only death. “He that loveth not, abideth in death,” and contrariwise, “He that abideth in charity, abideth in God, and God in him” (1 John 3:14 – 4:16). Faith and hope can subsist in a soul which has lost grace, but charity cannot. It is so vital that it cannot co-exist with the death that is caused by sin. Furthermore, it is so vital that it is imperishable and will remain unchanged for all eternity. In heaven, faith and hope will cease because they bear with them some imperfection: faith makes us know God without giving us the vision of Him, and hope lets us hope in Him without giving us possession of Him. Hence, “when that which is perfect is come,” that is, the beatific vision, these two virtues will have no further reason for existing. However, it is not the same with charity which implies no imperfection, since by it, we love God either in the obscurity of faith, or in the clarity of vision, and therefore St. Paul says, “Charity never falleth away.” Here on earth, to adhere to God, “these three remain: faith, hope, and charity: but the greatest of these is charity” (1 Corinthians 13:8,13). Faith and hope are incomplete virtues, because without charity they cannot unite us to God and produce the works of eternal life. The faith and hope of a sinner, one who has lost charity, are inactive and inoperative; they remain in him, it is true, but they are there as if dead. “Faith without works is dead” (James 2:26), and only “faith that worketh by charity … availeth anything” (Galatians 5:6), and this to the extent, that “if I should have all faith so that I could remove mountains, and have not charity, I am nothing” (1 Corinthians 13:2). It is charity that gives the warmth and strength of eternal life to faith and hope; it is charity that infuses vigor into these virtues, for only he who loves is capable of abandoning himself to God with eyes closed. “Clothe me, O Lord, with the purple garment of charity which not only adds grace to faith and hope but causes the soul to rise to so lofty a point that it is brought very near You and becomes very beautiful and pleasing in Your eyes. It is the virtue which most attracts Your love, protects the soul against pride and gives value to the other virtues, bestowing on them vigor and strength, grace and beauty so that they may please You, for without charity no virtue has grace before Your eyes. O sweetest love of God, how little are You known! He who has found Your fountain has found rest. You remove from the affections of the will whatever is not God and set it upon Him alone, and then you prepare this faculty and unite it to God through love. O God, teach me to use all my powers to love You, so that all the faculties of my soul and body: memory, understanding, and will, inward and outward senses, desires of the sensual part and of the spiritual part, will work in love and for the sake of love. Grant that all that I do I may do with love, and all that I suffer I may suffer with the pleasure of love, and that in this way, my God, I may keep all my strength for You.” (John of the Cross: Dark Night of the Soul II, 21,10.11 – Spiritual Maxims – Words of Light I, 16 – Spiritual Canticle 28,8). “St. Thomas Aquinas writes that hope is the virtue that grounds us in eternity, especially as we are tossed about by the storms of this world. 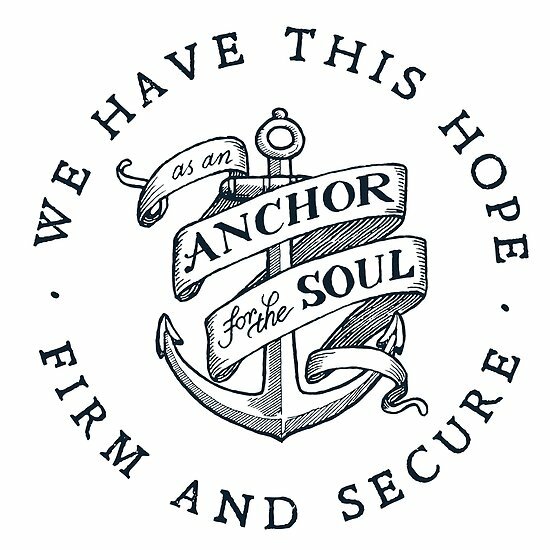 “Thus a man,” he writes, “should be held fast to that hope as an anchor,” for God “wills that the anchor of our hope be fixed in that which is now veiled from our eyes” (Commentary on the Epistle to the Hebrews). Infused by the Holy Spirit, the gift of hope reminds us of the words and promises of the Lord Jesus Christ and allows us to believe that they will happen. It is easy to think of the moments of trial in the past year, making one rather pessimistic, or at best only slightly optimistic about the year to come. However, by realizing that each one of us is united to Jesus Christ and relives the mysteries of His life, we are prepared to face whatever comes as an opportunity to grow closer to God and be conformed even more into His image. This is where happiness is found: in the union with God and the enjoyment of the eternal life of the Son. The way is arduous and difficult, (Christianity is NOT for WIMPS!!!) but we hope in the promises of the Savior. Often in our 21st century, North American millieu, I think we understand “faith” as an assent but ruled by a requirement of “feel good” rewards for that act of faith, our requirement for “good feels”. No “good feels”, no “faith”, right? This couldn’t be farther from the truth as the Catholic Church defines. Feelings are highly mutable. Up one day, down the next. Happy one hour, angry the next. One of the qualities of God is “impassibility”, notice the “a”. This means God does not feel. Not that He is not compassionate or not merciful or does not love, but that whether we believe or not, we bless or curse Him, He is completely unaffected by His creatures. God dwells in beyond eternal bliss and unapproachable light from which we would instantly perish seeing it as unpurified mortals. Think “Indiana Jones: Raiders of the Lost Ark”, when the Nazis finally open the Ark of the Covenant of God. Yeah, that one. Faith, as defined by St Thomas Aquinas, OP, is an act of the intellect. We decide, by human reason, inspired by divine grace, and we choose to embrace all the implications of that assent, acting through our will to put into motion that faith, that grace inspired decision. Faith is not, by the above, I believe now because I have “good feels”. But, when that’s over, so is my faith. When the party resumes, I’m in. No. 2 Tim 4:7 -“I have fought the good fight, I have finished the race, I have kept the faith.” 1 Cor 9:24. Kept, fought, finished, run, win being decisions to act, acts of intellect directed by the will. I believe, credo, whether I’m feelin’ it or not. I believe, credo. Presence of God – I recollect myself in the presence of God living in my soul, to learn how to seek Him by the light of faith. 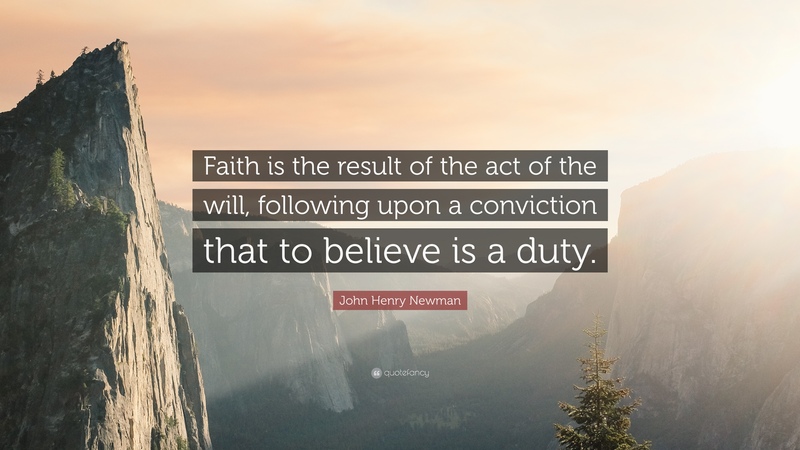 “He that cometh to God, must believe.” (Hebrews 11:6), says St. Paul, and he gives us this definition of faith: “Faith is the substance of things to be hoped for, the evidence of things not seen.” (Hebrews 11:1). In heaven, we shall see God by the light of glory, but on earth, we know Him by the light of faith. We must not base our interior life, our search for God, on sentiment or spiritual consolations, but on an intensive practice of the theological virtues. St. John of the Cross gives this advice to a soul seeking God, “Hear a word full of substance and unapproachable truth: it is that thou seek Him in faith and in love, without desiring to find satisfaction in aught.” (Spiritual Canticle, 1,11). Therefore, we must learn to seek God without any desire for pleasure, consolation, satisfaction, even though it be purely spiritual; we must learn to walk in the path of “naked faith.” Faith, more than any kind of knowledge or of reasoning, puts the soul into direct contact with God. Faith is “the proximate and proportionate means whereby the soul is united with God; for such is the likeness between itself and God, that there is no other difference save that which exists between seeing God and believing in Him” (John of the Cross, Ascent of Mount Carmel II, 9,1). Faith places us before God as He is; it does not make us see Him, but it makes us believe in Him, and thus puts our intellect in contact with Him. By means of faith, “God manifests Himself to the soul in divine light which passes all understanding. And therefore, the greater the faith of the soul, the more closely is it united with God” (ibid.). Faith unites the soul with God, even though it experiences no spiritual consolation; on the contrary, God often deprives the soul of all spiritual consolation that it may exercise itself more in faith and grow in it. “O Lord, give me a pure, ardent, strong faith to sustain and guide me in my continual search for You, and to make me adhere to You with perfect confidence although You remain hidden from my sight. Only by faith can my soul adhere to You, as You really are—infinite, omnipotent, and merciful, unity in Trinity: thus faith presents You to my soul. Faith comprehends You as You are, in Your divinity, Your mysteries, and Your works—all of which it proposes to my belief, so that in faith I find You completely, and in the act of faith, even though I do not see You, I possess You truly. If faith holds You hidden and veiled, if it permits me to see You only “through a glass in a dark manner” (1 Corinthians 13:12), I am certain, however, that it does not deceive me; it proposes You to me as You have revealed Yourself. How shall I not believe, Lord, in Your word, since You have spoken to us not only by the mouths of the prophets, but by the mouth of Jesus, Your Incarnate Word? Even if faith presents mysteries and wonders to believe which my poor mind cannot understand, I shall not be bewildered. What mystery is greater than that of Your infinite charity which has loved me from all eternity, created me by an act of love, redeemed me by the Blood of Your Son, and made my poor soul the temple of the Most Holy Trinity? “On Your word alone, I believe with full certitude. I believe everything the Son of God has said; there is nothing more true than the Word of Truth.” (St. Thomas Aquinas, OP). 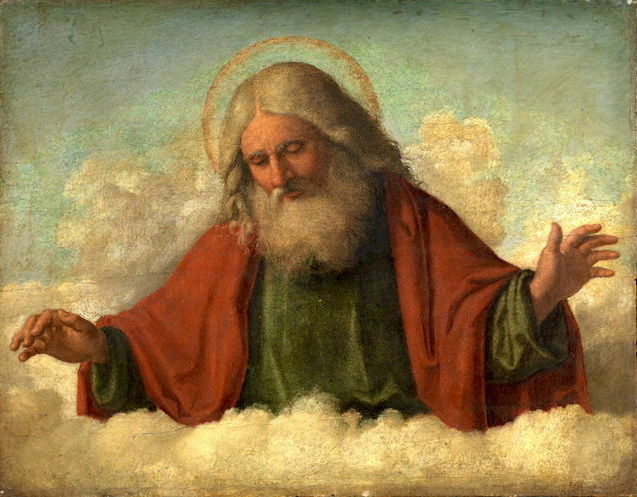 “O God, far from being astonished by Your works, they are for me but one more reason for praising You. The more difficult they are to understand, the more they arouse devotion in me; and the greater they are, the greater is the devotion…. So the less of a natural foundation these truths of the faith have, the more firmly I hold them and the greater is the devotion they inspire in me. Since You are almighty, I accept all the wondrous works which You have done as most certain, and in this respect I have never harbored a doubt.” (Teresa of Jesus, Life, 28 – 19). Doubt, despair, hopelessness,… & Truth. The ultimate thing the devil wants is our ultimate despair. Resist him. Eph 6:10-18. In the face of such a vacuous morality, what is one to do? I will present the contrasting approaches of two Nobel Laureates. The mathematician and philosopher Bertrand Russell attempted to engineer moral norms to make them more manageable, while the author Sigrid Undset sought to return to a deeper traditional Catholic morality. Russell’s approach has become characteristic of progressive movements. Since moral norms only express what is socially acceptable, a rational society may modify its expectations. In his 1936 essay Our Sexual Ethics, he argued that while adultery certainly has its downsides, it is just not realistic for most people to avoid it. In centuries past, spouses were seldom separated for long periods. Small villages, where everyone knew everyone else, would discourage indiscretions, while the fear of hellfire would keep the passions at bay. Without those helps, we might as well decide that adultery is okay after all and work around that. At least no one will feel guilty when they inevitably commit adultery. Russell would become a champion of the sexual revolution. Sigrid Undset took a very different approach. Raised an agnostic, as a young woman she wandered in moral confusion, falling in and out of love, before finally settling down with a man who had abandoned his first wife. This relationship produced three children, but was not to last. One can detect in her work from this period a dissatisfaction with life. Her 1911 novel Jenny explores the tension in the life of a woman whose only moral code is self-respect. She seeks love but is powerless to its fickleness. By the end, one suspects that Undset did not think there was much more to life than this tension. During the years of her marriage, Undset began asking serious questions. She had long thought that the morality she heard from the Lutheran State Church was no more adequate to explain life than it was to oppose the legalization of divorce years before. But she realized that the human person demanded far more than any socially updated moral code could deliver. This was especially clear in the face of the joy of her own motherhood. In 1919, she wrote against attempts to fix contemporary problems encountered in marriages by the easy means of divorce and looser moral standards. 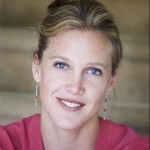 Instead of giving up on the demands of marriage, she argued, the Catholic Church raised it up by making it a sacrament. In 1924, Sigrid Undset was received into the Catholic Church. I am reading the above book, which examines, in what some might call “excruciating detail”, the last three sentences of Lumen Gentium 16. In these last three sentences, the fathers of Vatican II try to thread the needle of not denying God’s ability to save whomsoever He chooses, by whatsoever means He chooses, even though Mt 18:18; and yet not abrogate the more pressing prerogative of Mk 16:15/16. It is a fascinating and well written example of how the Church discerns, debates, discusses, argues, and interprets its meaning and mission, and the details of the will of the One Who founded her, in, for, and with the public, baptized or not so. At the very end of the next to last sentence of Lumen Gentium 16 is a phrasing I have found fascinating: “ultimate despair”. As in, those who have either not heard the good news, or those who have refused to accept it. “…they are exposed to ultimate despair.” And, how many situations of “ultimate despair” we can think of!!!! But, then we read Romans 8, and are, literally, saved, in every way, but assuredly from “ultimate despair”. He does not faint nor grow weary. . . . The Church is masterful in her liturgy. We began this month of November remembering those who have preceded us in faith, and dedicated this month to the benefit of the holy souls in purgatory. The readings have become more apocalyptic, reminding us of the end to come, even as the prior liturgical year ends before us, until the Solemnity of Christ the King, and His ultimate triumph over all His enemies, whom He puts beneath His feet. Then, with a whisper, the flicker of a candle, in the cold and the darkness, hope. He comes to a broken, suffering world, again. “Sneaking behind enemy lines” as it has been phrased, as a peasant child, a nothing, a no one, a nobody. Humility often camouflages divine power. It is the ultimate weapon against Satan. He has no concept of it, and therefore, no defense. “The devil is a proude spirite and cannot stand to be mocked.” – St Thomas More. Works every time! A fresh new beginning, restoring the innocence and the youth dissipated. I am not a fan of Bill Donohue or his one-sided polemics, even in supposed defense of the Church. I think he is a paid mouthpiece, devoid of intellectual integrity and honesty. However, he has written an interesting book. -by Fr. 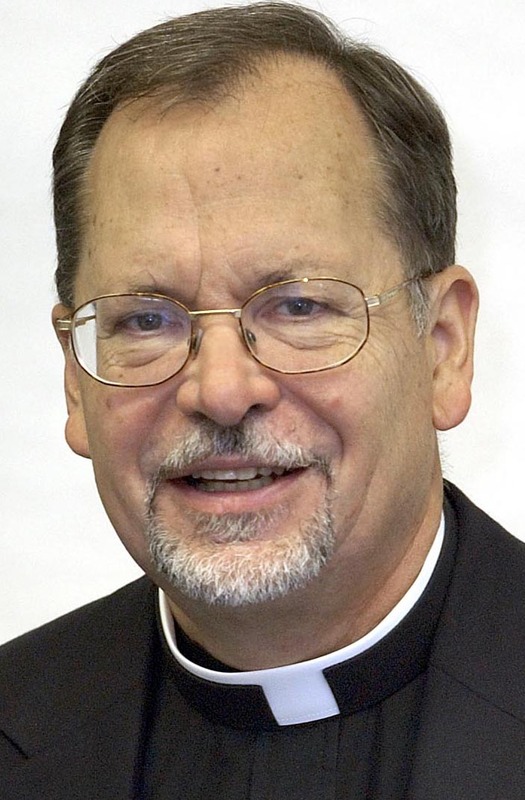 Leonard Klein, 6/4/15, formerly a Lutheran pastor for 30 yrs, Fr. 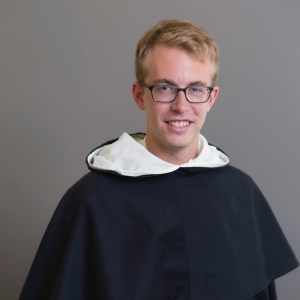 Klein entered the Church & began studying for the Catholic priesthood in 2003. He is a priest of the Diocese of Wilmington, DE. 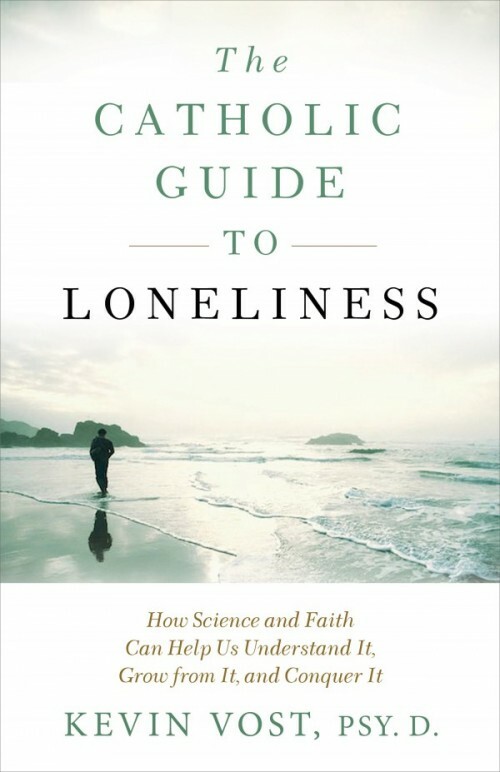 “A few few years ago Michael Novak spoke to the Thomas More Society of my diocese about his 2008 book, No One Sees God: The Dark Night of Atheists and Believers. I was there as chaplain to those Catholic attorneys. A few atheists were there as well, assuming a role different than mine. They gave Novak a rather hard time; he handled them well. I could not help noticing the difference between the athiests and the lawyers. The atheists were odd ducks. the attorneys were quite the opposite: well groomed, successful, joyful, sociable, deeply connected to faith, family, and community, generous with their time and money. The attorneys seemed healthy and happy. I don’t think the atheists noticed the contrast, since no evidence could convince them that they were not already the smartest people in the room. 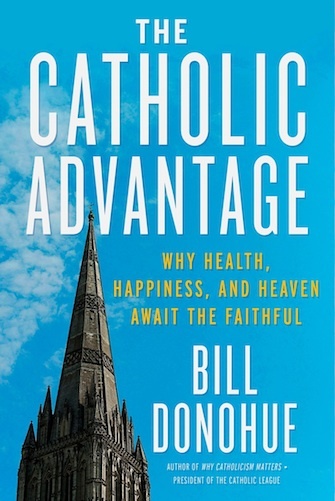 Reading Bill Donohue’s The Catholic Advantage: Why Health, Happiness, and Heaven Await the Faithful, I ended up thinking again of the Catholic lawyers and the contrast I perceived between them and the avowed atheists in the room. The difference to me was palatable. Donohue explains those differences. Unhealthy people don’t just lack community; they are poorly equipped for community. Our culture is increasingly unhealthy. Rootless people avoid the Church and our culture is increasingly rootless. Hedonists avoid the Church and our culture is increasingly hedonistic. The absence of bonds and boundaries, of health, happiness and hope of heaven, conspires against belief. The argument of Donohue’s book is simple and familiar: Christian faith and practice correlate positively with human happiness. The outline is similarly straightforward. The book is divided into three main parts: health, happiness, and heaven—the core positive outcomes of being Catholic. Committed believers are much more apt to flourish, and the hope of heaven broadens the human prospect to infinity. President of the Catholic League for Religious and Civil Rights, Donohue is well known for his assertive—some might say pugnacious—defense of the Catholic faith and of the Church. 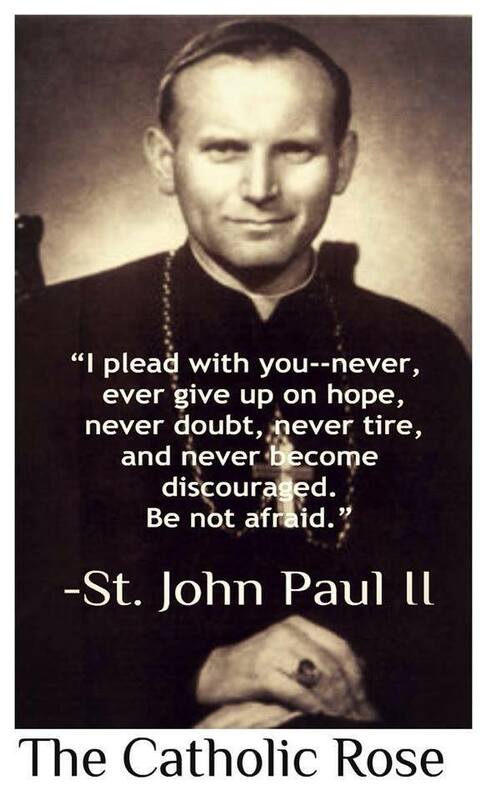 He does what he does because he is a committed and believing Catholic, and in his book he presses the case for faith. A sociologist, Donohue’s training drives his argument. It relies heavily on data from many sources. The evidence will not be new to those of us who pay attention to the role of religion in society, but the book assembles a great deal of useful information. It’s an apologetic goldmine. 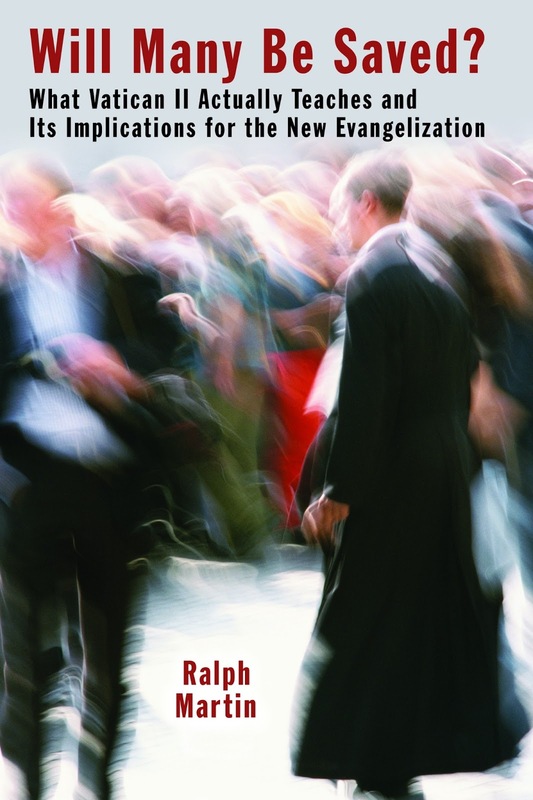 Donohue knows that the data will not bring about conversion, but it is encouraging and enormously helpful for those of us called to preach and teach, to say nothing of ordinary Christians who want insight into the life-giving nature of our faith. We need information to buttress and defend the truth, and Donohue provides it. 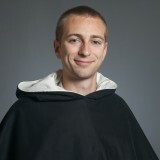 He makes particularly good use of studies revealing the superlative happiness of priests and nuns in their vocations. He is also theologically and spiritually sophisticated. While there is a lot of useful data, Jesus is not lost in the insights and the numbers. This is a book of faith, not just a book about faith. But what accounts for the rage of the secularists? As Donohue documents, they are imprisoned by their own culture, custom, and ideology. But why are institutions which would seem to offer the best cure enduring hostility and shrinkage? We need to look at another facet of our culture. People who are deprived of belief, boundaries, and bonds will be angry at the happiness of others—and uncomprehending. If faith is struggling in contemporary American culture, part of the reason is almost surely that the culture is collapsing on so many fronts. How it is that faith has become the enemy for so many, when it has the benefits Donohue defines? It is, I would argue, not just that faith is harder in this day. It is that those trapped in the sin-sickness of the era cannot imagine a way out. The culture creates lost sheep. The evidence Donohue cites shows it, but it also shows that it is good to be on the side of the One who seeks them out and to have beliefs, boundaries and bonds to offer. That would be the Catholic advantage. We have long known the truth of Donohue’s thesis that belief, boundaries, and bonds make for health, happiness, and heaven. We also know that belief cannot be created by will or, in the line he cites from St. John Paul II, imposed rather than proposed. We would not expect that many atheists or secularists will be converted by reading this book. Evangelization happens in other ways. I wish people knew that millions of people don’t respond to medications, and that, while brain stimulation technologies (electro-shock like my father deceived my mother into receiving after he found her wandering around in the clothes closet of their condo) offer hope for treatment-resistant depression, these persons are dealing with a different kind of beast altogether and should not be blamed for their chronic illness. I wish people knew that the endorphins from exercise are as close as a depressive will get to an anesthesia for pain but that it’s possible to swim 5,000 yards a day or run seven miles a day and still be suicidal, that a sad swimmer can fill up her goggles with tears. I wish people knew that while yoga is helpful for some, a person can walk out of the studio just as depressed as she was before Namaste. 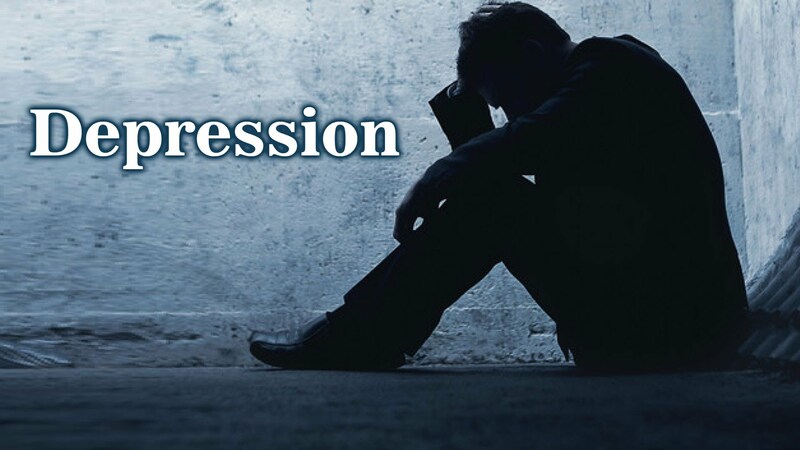 I wish people knew that the worst part about depression is the sheer loneliness, the inability to express the anguish that rages within, and that the smiley-face culture we live in worsens that loneliness because depressed persons are so scared to tell the truth. I wish people knew that persons who struggle with depression aren’t lazy, uncommitted, and weak, that they are not trying to get attention. I wish people knew that taking one’s life can feel like sneezing to a severely depressed person, that it can be a mere reaction to the body’s strong message, that after fighting a sneeze for years and years, some people simply can’t not sneeze anymore, that they should not be condemned or demonized for sneezing.